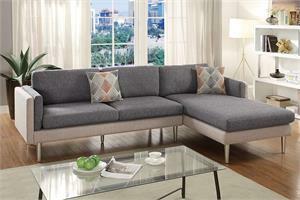 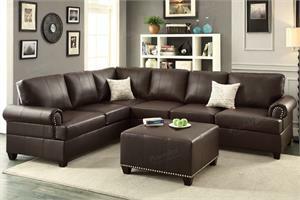 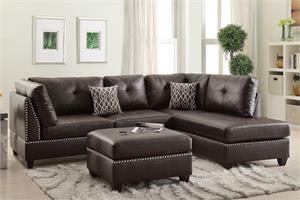 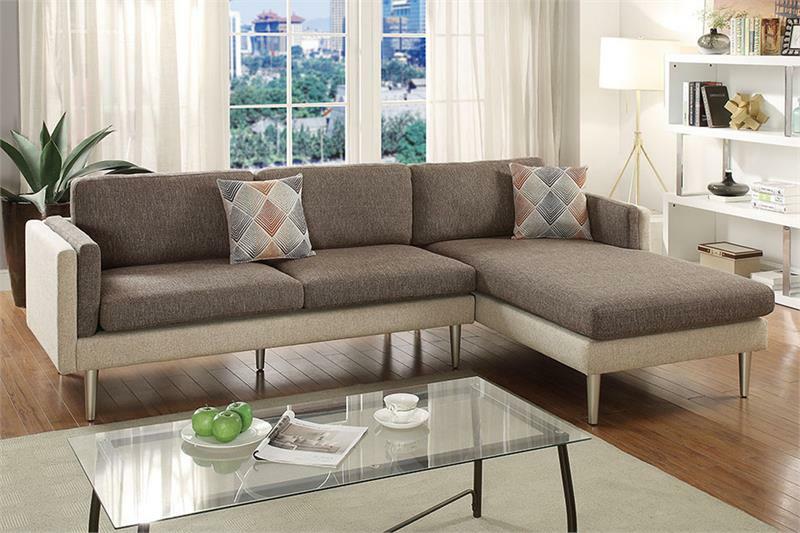 A slim compact design that's out of this world is delivered with this 2-piece sectional in a smooth cotton blended fabric. Its design provides a sense of calm with clean lines and two-toned hues. 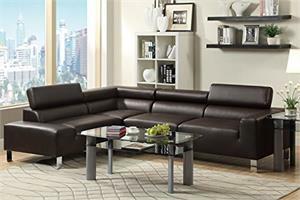 Enjoy a living space of the future. 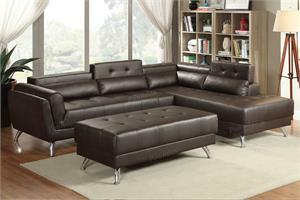 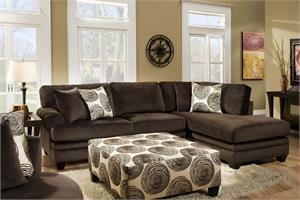 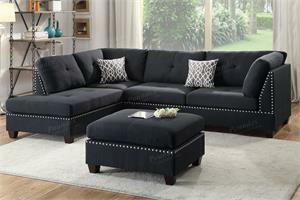 Sectional also includes accent pillows. 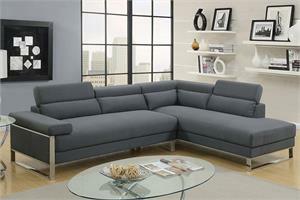 Available in color combinations of ash black/sand, blue/aqua, or coffee/platinum.